Which careers pay the most money? Unsurprisingly, they’re the jobs that require special skills and training to perform tasks that not everyone can do. In the 21st century, that largely means medical and health care-related positions, as well as engineering, management, and information technology occupations. The Bureau of Labor Statistics (BLS) keeps a running list of the jobs that pay the most. 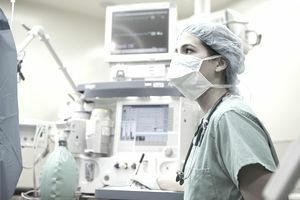 According to the BLS, the highest paying careers are mostly white-collar jobs in medicine, management, information technology, and engineering. To train for these careers, you’ll need to have aptitude, passion – and the willingness to spend time and money on the education required. Although most of the highest paying careers require considerable education and training, not every job will necessitate spending years in graduate school (or working indoors after graduation). If you don’t care to put on a suit – or incur hundreds of thousands of dollars of student loan debt – but you want to make serious money, there are a few blue-collar jobs that might fit the bill. To make $100,000 or more in a blue-collar job, you might need to work for yourself, have a labor union behind you – or be willing to put your safety at risk. MarketWatch produced a list of blue-collar jobs that can lead to six-figure salaries. Job titles ranged from police sergeant to oil rig worker. Police officers: Salaries for police departments in major urban areas can range from $50,000 to $116,000. New York Police Department salaries can be as high as $131,000. Sergeants typically get paid the most with sergeant’s salaries ranging from $105,000 to $131,000, excluding overtime. Bartender: The median salary for bartenders is $18,900 a year but the range varies widely. Bartenders at upscale locations can make more $100,000 a year. Construction managers: Glassdoor.com and the Bureau of Labor Statistics both track data on this category. According to Glassdoor.com, the national average for contractors and construction managers is $65,239 with a range from $32,000 to $110,000. The Bureau of Labor Statistics shows an even higher range at $82,790 to $144,520. Farmers, ranchers, and other agricultural managers: According to the Bureau of Labor Statistics, the median annual wage for this category is $70,110 a year but the top range level extends all the way to $119,530 a year. California farmers report the highest average wage at $93,630 a year. Oil rig workers: A bachelor's degree isn't required for oil rig foremen/superintendents, directional drillers, and oil rig managers, though these jobs usually require years of experience. Working on a rig is very taxing work—it's labor-intensive, lonely, and potentially dangerous and workers are compensated for these factors. Ziprecruiter.com reports that the average salary for oil rig workers is $74,897 but salaries can range from $18,500 to over $200,000 annually.